First of all, we would like to stress the fact that `aqeeqah is a Prophetic Sunnah. Muslims who have the means to do it should not ignore it. 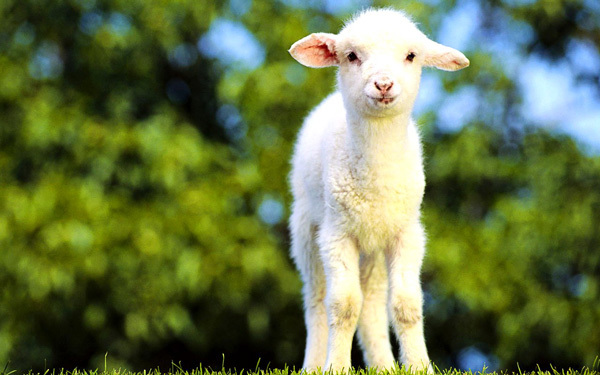 `Aqeeqah involves sacrificing a goat or lamb on behalf of the child. It is giving thanks to Allah for the gift of a child. The meat is distributed to the poor, or it can be used to arrange a feast to which the poor as well as relatives and friends are invited. It is reported that the Prophet (peace and blessings be upon him) sacrificed a goat each for his grandsons Al-Hasan and Al-Husayn. It is recommended that, on the day of `aqeeqah, the child is given a good name, his/her head is shaved, and his/her hair is weighed and the equivalent in money of its weight in gold is given in charity. If, for any reason, `aqeeqah cannot be done on the seventh day, it can be done on the fourteenth, twenty-first or whenever possible. However, it should not be unnecessarily delayed. Furthermore, according to the vast majority of scholars in Islam, `aqeeqah is a highly recommended practice (Sunnah). There is, however, a small minority of scholars who consider it obligatory. This is the position of Imam Hasan Al-Basari. Lastly, the significance of `aqeeqah is that it is part of the Abrahamic legacy. Prophet Ibrahim (peace and blessings be upon him) was a man of tawhid (belief in the oneness of Allah), and his entire life typified that of a perfect muwahhid or monotheist. He abolished sacrifices or rituals to deities other than Allah and allowed sacrifices and prayers to be directed solely to Allah. The rituals associated with `aqeeqah, therefore, can be considered as a child’s initiation into the lessons of tawhid. In short, `aqeeqah is a great Sunnah, which all Muslims should practice, especially if they have the means to do so. “`Aqeeqah is a Sunnah. It is a ceremony done in thankfulness to Allah for the newborn child. Although `Aqeeqah is not mentioned in the Qur’an, it is mentioned in Hadith. The Prophet (peace and blessings be upon him) is reported to have urged Muslims to make `Aqeeqah for their children on the seventh day of their birth. If for some reason it was not possible to do it on the 7th day then it can be done at a later date. Those who cannot afford it can give some other charity or just make du`a’ for their child. Naming the child should be done as soon as the child is born. According to the Sunnah, every child that is born alive should be given a name. If the `Aqeeqah was done before naming the child, there is no harm. There is no need to repeat the `Aqeeqah. The method of `Aqeeqah is to shave the baby’s head or to trim the hair. One may give silver or gold out of charity according to the weight of the baby’s hair. One or two goats or sheep should be slaughtered as sacrifice and the meat should be distributed among the poor, the friends, and the family members can use part of it. Some Prophetic hadiths mention two goats to be sacrificed for a boy and one for a girl. But, according to Muslim jurists, one can sacrifice only one for the boy and one can also sacrifice two for the girl.